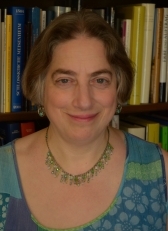 Professor Newman (Ph.D. Yale) is known for her work on medieval religious culture, comparative literature, and women's spirituality. Her most recent books are a translation of Mechthild of Hackeborn's The Book of Special Grace (2017) and Making Love in the Twelfth Century (2016). She is also the editor/translator of Thomas of Cantimpré: The Collected Saints' Lives (2008), and the author of Medieval Crossover: Reading the Secular against the Sacred (2013), Frauenlob's Song of Songs: A Medieval German Poet and His Masterpiece (2006), God and the Goddesses: Vision, Poetry, and Belief in the Middle Ages (2003), and From Virile Woman to WomanChrist: Studies in Medieval Religion and Literature (1995), as well as three books on Hildegard of Bingen: an edited volume, Voice of the Living Light: Hildegard of Bingen and Her World (1998); an edition and translation of Hildegard's collected songs, Symphonia Armonie Celestium Revelationum (1988, rev. 1998); and Sister of Wisdom: St. Hildegard's Theology of the Feminine (1987). Professor Newman has been a Fellow of the Guggenheim Foundation, the American Council of Learned Societies, the National Endowment for the Humanities, and the Alice Berline Kaplan Center for the Humanities at Northwestern. She holds the John Evans Chair of Latin Language and Literature and previously held a Charles Deering McCormick Chair of Teaching Excellence (2003-06). Professor Newman is a past president of the Medieval Academy of America and director of the graduate cluster in Medieval Studies.